Joseon Dynasty was ruled by the Royal Family of Yi, thus sometimes being referred as the Yi Dynasty. The dynasty was founded by General Yi Seong-gye or later, Yi Dan, who was a Goryeo Dynasty. 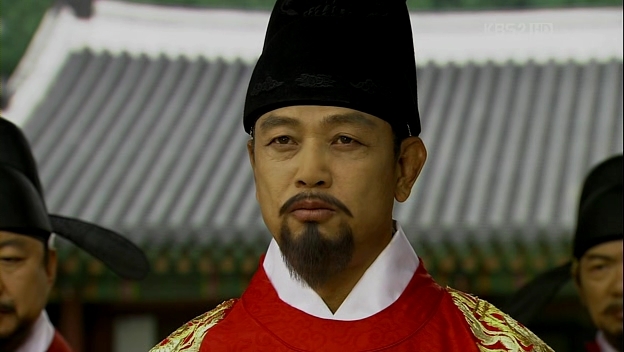 He overthrew the dynasty that ruled for 475 years and became the first king of Joseon. Yi Seong-gye (or his posthumous name Taejo) had a total of six known consort: two queens consort and four royal concubines, but the next-in-line for the throne at that time was his second consort, Queen Sindeok’s last son, Yi Bang-seok. This caused dissatisfaction among his sons from his first consort Queen Sinui, especially his fifth son Yi Bang-won, who felt that he was under appreciated. The conflict with Jeong Do-jeon caused Yi Bang-won to lead an attack and killed his step brothers, the Crown Prince and Yi Bang-beon in the process, as well as Jeong Do-jeon. Taejo was shocked with the event known as First Strife of Princes and decided to hand over the throne to his second son Yi Bang-gwa. Yi Bang-gwa was the second ruler of Joseon Dynasty, posthumously referred as Jeongjong. 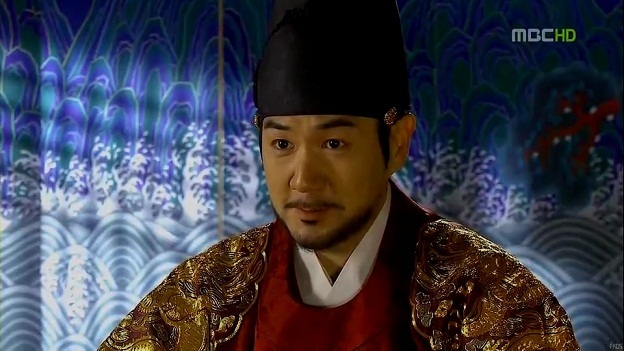 He ruled for a short period after Taejo abdicated, following the bloody event. He was a wise ruler but when his younger brother Yi Bang-won showed more qualities as a king and even defeated their brother Yi Bang-gan in the Second Strife of Princes, he appointed Yi Bang-won as the Crown Prince before abdicating the throne for him. Yi Bang-won, or famously known as Taejong, was the Joseon king famous for killing his allies and potential enemies, including his consort, Queen Wongyeong’s family and his son’s in-laws to prevent any interference with the throne. He was known for his ruthless executions and but his action paved the way for his heir to take over the throne without any problem. Following Yi Bang-won’s abdication, his son Yi Do ascended the throne. He became the heir after his brothers gave up the throne for him since he showed the potential of becoming a great leader with his intelligence. He struggled with his father’s heartless execution of his wife, Queen Soheon’s family, in the early years of his reign. He’s also known as Sejong the Great, who introduced Hangul and promoted many advancements in various areas, including politics, Confucianism, science, and technology. Sejong’s first son Yi Hyang took over the throne when his health took its toll; however, Sejong also acted as a regent until his death. Yi Hyang or Munjong didn’t rule for that long since he was sick and died, leaving the king position to his young son Yi Hong-wi. The young king was forced to abdicate by Munjong’s younger brother Yi Yoo or Grand Prince Suyang, who in turn took over the throne. Yi Hong-wi was exiled but later killed as Suyang saw him as a threat to his position. Following his abdication and exile, Yi Hong-wi was referred to as Prince Nosan but he was later honored with the posthumous name Danjong. Suyang ascended the throne as the seventh king of Joseon Dynasty, Sejo and proved that he’s a wise ruler despite the killings he did for the sake of the throne. His successor, Yi Gwang was a sickly ruler who became the Crown Prince after his first son, Crown Prince Uigyeong (Yi Jang) died because of illness. Yi Gwang, or Yejong, sat on the throne for a little over a year before he passed away. The king’s seat wasn’t inherited by Yejong’s own son; instead, the throne went to his adopted son Yi Hyeol, who was also Yi Jang’s son. Yi Hyeol ascended the throne at the young age of 13 and his grandmother, Queen Jeonghee, acted as a regent alongside his birth mother, Queen Dowager Insoo. He then took over when he turned 20 and ruled in his own name. Yi Hyeol, or Seongjong, had several consorts and one of them was the famous Deposed Queen Yoon. She was a royal concubine who was elevated to the rank of a queen, after Seongjong’s first consort Queen Gonghye passed away. Deposed Queen Yoon was famous for her extreme jealousy and attempts to poison the other concubines. She gave birth to the heir of the throne, Yi Yong, but soon deposed for causing injury to Seongjong. She was exiled and then sentenced to death by poisoning. Her son became the tenth king of Joseon Dynasty with the name Yeonsangun. He didn’t get any posthumous name since he was overthrown due to his problematic reign. He caused the bloody Literati Purges, killing the scholars after he found the truth about his mother’s death. He also turned Sungkyunkwan into a his pleasure ground and also used the women as his entertainers. He banned the usage of Hangul since the writing was used by the commoners to express their dissatisfaction towards him. 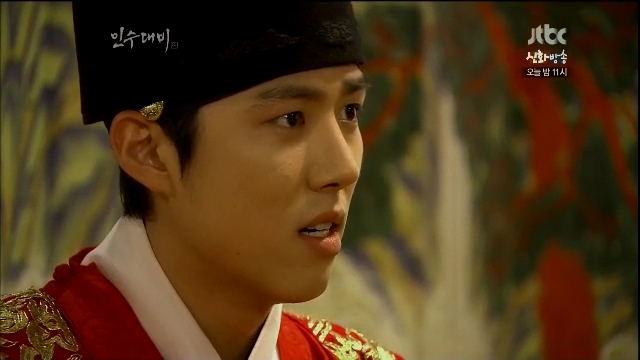 He was overthrown and the throne was passed to his stepbrother Yi Yeok. Yi Yeok, or Jungjong, was Seongjong’s son with his third consort Queen Jeonghyun. He tried to revive the nation after Yeonsangun’s reign but his years of ruling was marked with bloody purges among the officials and his in-laws. One of the highlights during his reign was the appointment of Jang-geum as his personal doctor, making her the first and only female to be appointed as a Joseon king’s doctor or Royal Physician. Jungjong’s first son with Queen Janggyeong, Yi Ho, was the next-in-line and ascended the throne, earning him his posthumous name Injong. His reign was a short one and he was believed to be poisoned by his adoptive mother Queen Munjeong, who was said to be ambitious enough to aim the throne for her own son Yi Hwan. Yi Hwan rose as the king but Queen Munjeong acted as a regent since he was young. After his mother’s death, Yi Hwan, or Myeongjong, tried to lead the country in his own way, but the interference of his mother’s relatives and immense corruption happening in the government made his attempt a failure. Now we realize how Taejong’s action of wiping off the in-laws’ family members was quite brilliant, although it was a heartless one. He died without any heir. Without a Crown Prince to become the king, the royal family chose the next member suitable to be one. Yi Yeon was the son of Grand Internal Prince Deokheung/ Deokheung Daewongun, who was Jungjong’s son with royal concubine Ahn Chang-bin. Yi Yeon was made the adopted son of Myeongjong and ruled as Seonjo. His reign was marked with reformations but soon, war took over, leaving the country in a dire state. He tried to revive the nation after the Japanese Invasion of Korea in 1592-1598 but failed to do so and soon passed away, leaving the country for his son Yi Hon. Yi Hon was the son of Seonjo and his royal concubine Kim Gong-bin but he was picked to be the king since Seonjo’s legitimate child was still young. 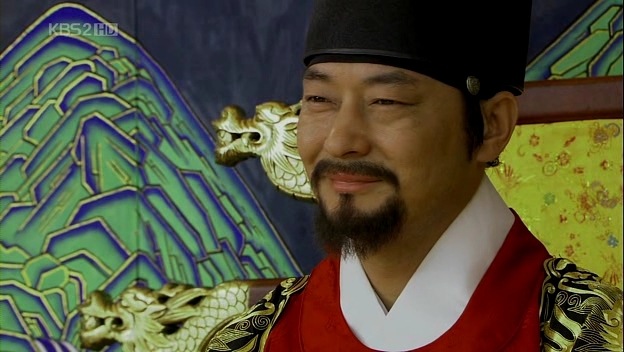 He was a competent ruler since he had the chance to be an acting ruler during Seonjo’s reign. However, he was overthrown in a coup by the Westerners faction. He didn’t get any posthumous name because of this and remained to be known as Gwanghaegun. The Westerners brought in Yi Jong, the grandson of Seonjo through his son, Grand Internal Prince Jeongwon /Jeongwon Daewongun with his royal concubine, Kim Ui-bin. Yi Jong or posthumously known as Injo, faced the two Manchu invasions, which saw his own sons being sent to Manchu as captives. Crown Prince Sohyeon, one of the well known crown princes of Joseon Dynasty, returned to the country but soon faced death when he tried to bring in Christianity. Injo then installed his second son Grand Prince Bongrim as his successor. Prince Bongrim reigned as Hyojong, the seventeenth king of the dynasty. He tried to revive the kingdom after the past kings’ reigns by continuing the work left by Gwanghaegun and restoring the nation after the Manchu invasion. He’s also famous for the Northern campaigns against the Russians by becoming allies with Qing Dynasty. He died before making his Northern conquest a reality. Sounds familiar? This was the same conquest being repeated over and over again by the characters in Warrior Baek Dong-soo. Hyojong’s son Yi Yeon took over the throne after his death and became Hyeonjong. His reign was marked with intense conflict between the Westerners and Southerners factions, including the issue of funeral. He also continued his father’s military expansion and restoration of the country after the wars. He died and his only son Yi Soon reigned afterwards. Yi Soon or the his temple name Sukjong, is probably one of the well known rulers especially in popular culture. He took over the throne while the factions were still fighting against each other. Unlike his father Hyeonjong, Sukjong was a bold ruler, causing the change of ministers without any compromise. He caused multiple Hwanguk (change of state) by chasing out a particular faction from the government posts and letting the other faction to take over. There were three times in which the change of state took place: Kyungshin Hwanguk – the execution of Southerners faction; Gapsul Hwanguk – deposing Queen Inhyun and declaration of Jang Hee-bin as the new queen, leading to Southerners regaining their power; and Gisa Hwanguk – reinstatement of Queen Inhyun and stripping Jang Hee-bin off her position of the queen, bringing the Westerners back into power. 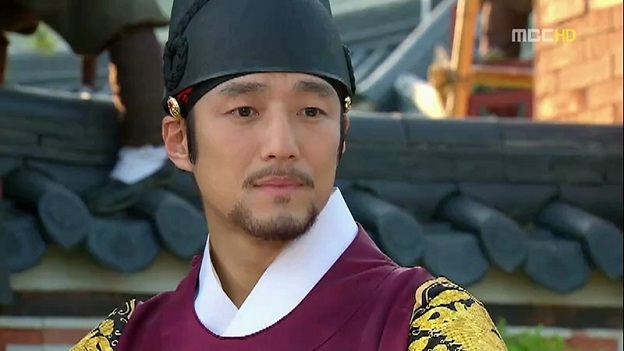 Sukjong’s death made the Crown Prince as the next king. Yi Yoon was the son of Sukjong and Jang Hee-bin and reigned for a short four years. Yi Yoon, or Gyeongjong, died without an heir and that made his half brother, Prince Yeoning or Yi Geum, the next-in-line for the throne. Yi Geum was the son of Sukjong and his royal concubine, Choi Suk-bin. Yi Geum, or later known by his temple name Yeongjo, reigned the country with his wisdom and his era saw the recovery from the past events, such as the wars and the invasions. However, he’s also famous for causing the death of his own son, Crown Prince Sado. The prince was left to die after he was reported to be mentally ill. Following his death, Crown Prince Sado’s son Yi San was made the heir to the throne and he officially became the king of Joseon Dynasty. Yi San’s era was regarded the era of reformation and he worked hard to restore and clear his father’s name. Following his great-grandfather’s step Sukjong in opening more chances for the people to advancement in their lives regardless of their status, Yi San, or Jeongjo, allowed the people to occupy the government positions regardless of their status. 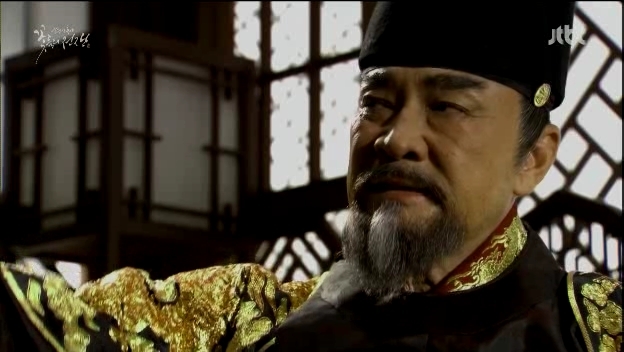 Jeongjo’s son Yi Gwang took over the throne when he suddenly passed away. Since Yi Gwang was young at the that time, Yeongjo’s second queen consort Queen Jeongsun acted as a regent. Yi Gwang, or Sunjo, ruled in his own name after her death. Sunjo’s son Crown Prince Hyomyeong died before he was made the king and his grandson Yi Hwan became the twenty-fourth king of Joseon. Later known as Heonjong, he didn’t get the chance to rule with his power since the government was under the influence of the Andong Kim clan, which was also the clan supporting Sunjo’s queen consort Queen Sunwon. He died without an heir and the court was forced to appoint a member of the royal family as the heir to the throne. A suitable candidate was found after a long search and Yi Byeon, a descendant of the royal family from Crown Prince Sado’s son with his concubine Im Suk-bin, was chosen to be the next king. Yi Byeon, later Cheoljong, was illiterate and he was the puppet king sitting on the throne while the Andong Kim clan exercised their great power to rule the nation. He married Queen Cheolin of the Andong Kim clan but died without an heir. Another member of the royal family was brought into the court to be made the king, who was Yi Myung-bok. Yi Myung-bok’s father Grand Internal Prince Heungseon /Heungseon Daewongun was related to Cheoljong through their grandfathers, who were siblings. Yi Myung-bok or later Gojong didn’t rule when he first ascended the throne as he was young and his father Heungseon Daewongun acted as the regent until he reached the suitable age to govern on his own. Facing internal pressure from rebellions including Donghak Peasant Revolution and Gabo Reform and also the external pressure from Japan, Gojong proclaimed the nation as an empire, He declared himself as the Emperor Gwangmu, the emperor of Korea and his dead wife Queen Min as Empress Myungsung. He tried to promote revolution and Westernization the empire through Gabo Reform but failed. After Japan defeated Russia, Korea was denied its status as an independent nation. Emperor Gojong tried to save the country but failed, leading to his forced abdication by the Japanese. Yi Cheok, Gojong’s son, reigned as Sunjong or Emperor Yonghui, took over the throne as the twenty-seventh ruler of Joseon Dynasty. He was also the last king of the Joseon Dynasty. Sunjong’s reign ended when Japan officially annexed Korea in 1910 through the Japan-Korea Annexation Treaty 1910. It marked the end of the Joseon Dynasty and the end of Yi Family’s reign of the country. Being a girl with lousy internet connection (which can be so irritating at times), I haven’t had the chance to watch a longer period drama. Plus, the fact that I’m living in the college’s hostel most of the time doesn’t give me the luxury of watching dramas on KBSWorld. As for now, I can only watch the shorter sageuk and I am content with it. Daeha will give more insights into a particular figure and I really hope to be able to see a proper daeha one day. Jeong Do-jeon (KBS1,2014) is the latest daeha from KBS, telling the story of the person behind the founder of Joseon Dynasty, King Taejo. Jeong Do-jeon was the politician who laid the foundation of the dynasty, which included designing Gyeongbok Palace. The drama focuses on the transition period from Goryeo to Joseon Dynasty. 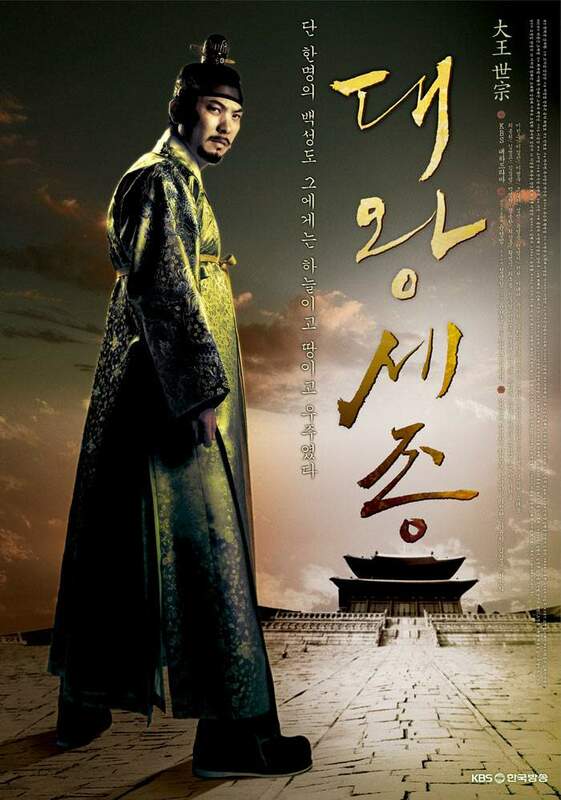 The Great King Sejong (KBS1, 2008) is a drama that focuses on the life of Sejong. I’m not sure about the exact details since I haven’t watched it yet. It has 86 episodes and depicts the life of Sejong as well as the people around him: His parents Taejong and Queen Wongyeong; his brothers Prince Yangnyeong and Prince Hyoryeong; and his children. Queen Dowager Insoo (jTBC, 2012), a drama that focuses on the life of Queen Dowager Insoo, who was the mother of Seongjong and acted as his regent before he reached the age to reign on its own. The 58-episode drama also portrays the other kings, from a short peek at Sejong to the eras of Munjong, Danjong, Sejo, Yejong, Seongjong, and Yeosangun. Sejong’s other princes are also shown in the drama, as well as the prominent female figures such as Queen Jeonghee, Queen Ansun, and the Deposed Queen Yoon. Cruel Palace: War of the Flowers (jTBC, 2013), another drama that focuses on the female figure in the court that was Injo’s royal concubine, the Deposed Jo So-yong. The drama is still airing and so far shows how Injo surrendered to Hong Taiji of Manchu and sent his sons to Manchu as captives. The drama also shows the important figures like Injo’s second queen consort Queen Jangryeol, Injo’s sons Crown Prince Sohyeon and Grand Prince Bongrim (future Hyojong), and his daughter-in-law, Crown Prince Sohyeon’s wife Crown Princess Minhoe. Yi San (MBC, 2007) is the drama about Jeongjo’s life, with some parts altered to fit the drama. 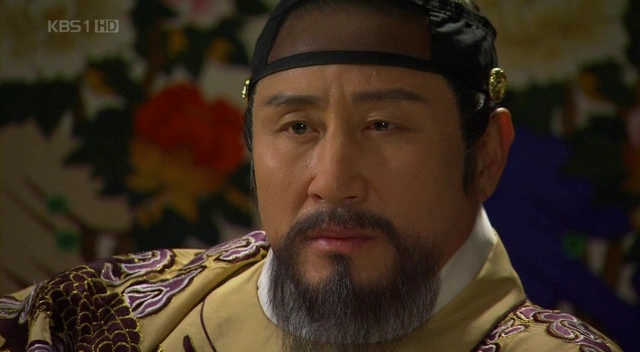 Jeongjo’s father Crown Prince Sado is also part of the drama, as well as his grandfather Yeongjo. Also, the love line in this drama is between Jeongjo and one of his concubines, Seong Ui-bin. The Great Seer (SBS, 2012), a drama that tells the story of a gifted seer who helps General Yi Seong-gye or the future Taejo to overthrow the Goryeo Dynasty and establish the new Joseon Dynasty. Aside from the several Goryeo kings portrayed in the drama, it shows the future Taejo during his years of being a general for Goryeo. Tree with Deep Roots (SBS, 2011), a drama which focuses on the story behind the creation of Hangul, besides depicting the lives of Sejong and Taejong. 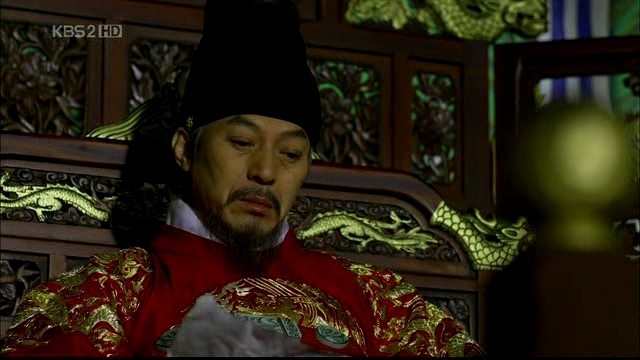 In the drama, Sejong’s father Taejong is shown during the early years of Sejong’s reign, where he acted as a regent and controlled the court until his death while clashing with Sejong’s ideology. The Princess’ Man (KBS2, 2011) is a drama about the fictional daughter of Grand Prince Suyang who fell in love with a man, who turns out to be the son of her father’s enemy. The kings are depicted in the drama and their appearance serves as a driving plot to the main romance story. Munjong, Danjong, and Sejo were loosely depicted in the drama together with Munjong’s another child Princess Kyunghye. Mandate of Heaven (KBS2, 2013) centers around a Royal Physician who gets accused of a treason and has to be a fugitive on the run. Jungjong is one of the characters in the drama, as well as his second queen consort Queen Munjeong and Injong, who is portrayed during his years as the Crown Prince. A very young Myeongjong is also part of the characters in the drama. Guam Heo Jun (MBC,2013) is a daily sageuk about a court physician during Seonjo’s reign, Heo Jun. He was the author of Dongui Bogam, which is still considered the most extensive text for Korean traditional medicine. Seonjo as well as his family members such as his consort Queen Inmok, concubines Kim In-bin and Kim Gong-bin, and Gwanghaegun. Goddess of Fire Jung Yi (MBC, 2013) tells the story of a female potter during Seonjo’s era. The potter Yoo Jung is based on a real historical figure Baek Pa-sun and she is depicted to be involved romantically with Seonjo’s heir Gwanghaegun since his young age. The drama also shows the invasion of Japan faced by Joseon during Seonjo’s reign and the characters in the drama include Gwanghaegun’s older brother Prince Imhae and his younger, legitimate step brother Grand Prince Yeongchang. King’s Face (KBS2, 2014) focuses on Seonjo and Gwanghaegun. The drama adapts the aspect of physiognomy or face reading to become the main source of conflict between Seonjo, who is deemed unfit for the throne because of his face, and his son, Gwanghaegun. 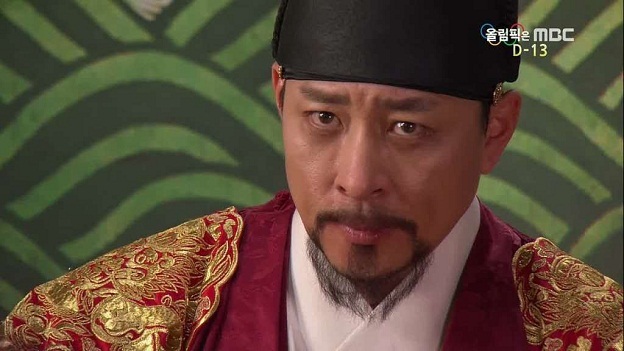 The prince is born with the face of a ruler and causes Seonjo to be apprehensive of his own son. From a carefree prince to the nation’s king, the drama highlights the trials and tribulations faced by Gwanghae in his journey to protect his position as the Crown Prince and his right to ascend the throne. Tamra the Island (MBC, 2009) shows glimpses of Injo during his early years of reign after Gwanghaegun was overthrown and exiled to Tamra (nowadays Jeju). The drama’s main plot is about a young nobleman or yangban who is exiled to Tamra and meets a girl who wishes to go out of the remote island and also an aristocrat from the West who is fascinated with anything associated with the East. Three Musketeers (tvn, 2014) follows the journey of a warrior from the countryside, Park Dal-hyang. The man lives during Injo’s reign and gets involved with the nation’s heir, Crown Prince Sohyeon and his buddies known as Three Musketeers. The drama portrays Joseon between the First and Second Manchu Invasions, showing how the war affects Injo’s confidence to become a capable ruler. He depends on his son, Sohyeon, but there are times he feels threatened by his bright son. Chuno/ The Slave Hunter (KBS2, 2010) tells the story of a yangban who becomes a slave hunter to find his missing love interest after the Manchu invasion. Although the series follows the journey of the slave hunters, the characters are loosely associated with the royal court, showing Injo as the king in the series and includes the story of Crown Prince Sohyeon and Hyojong. Horse Doctor (MBC, 2012) is another drama that includes the eras of Injo, Hyojong, and Hyeonjong. The main characters are the medical practitioners within the palace and their parents are the fictional characters who are associated with Crown Prince Sohyeon’s death. Jang Ok Jung, Live in Love (SBS, 2013) focuses on the consorts of Sukjong, namely Jang Hee-bin, Queen Inkyung, Queen Inhyun, and Choi Suk-bin. Although the romance is the main plot of the drama, it also shows the conflicts between the factions since Hyeonjong’s reign and continues until Sukjong’s reign. Dong Yi (MBC, 2010). A long sageuk that features the life of Choi Suk-bin, one of the royal concubines of Sukjong. The drama follows the growth of the little Dong-yi, from her entrance to the royal palace until her appointment as the royal concubine. Her son Yeongjo is also shown in the drama alongside the titular characters such as Queen Inhyun and Jang Hee-bin. Queen Inhyun’s Man (tvn, 2012) is not really a sageuk as it’s more of modern drama. So…half-sageuk? The main character is one of the loyal supporter of Queen Inhyun and one of Sukjong’s officials. The drama doesn’t really focuses on the happenings around the court but it does mention the important Gisa Hwanguk and Gapsul Hwanguk. Secret Door (SBS, 2014) brings another interpretation of the discord between Yeongjo and his second son, Crown Prince Sado. The drama focuses on the father and son pairing, as well as the political struggle between two main factions during Yeongjo’s reign: Soron and Noron. A serial murder case becomes pivotal point of the plot, which is also related to the previous king, Gyeongjong. Warrior Baek Dong-soo (SBS, 2011) is mainly about a martial arts instructor who becomes Jeongjo’s bodyguard. The drama depicts the story of Crown Prince Sado’s interest in the Northern conquest that leads to his death. Yeongjo and Jeongjo are also portrayed in the drama. Conspiracy in the Court/ Seoul’s Sad Song (KBS2, 2007) centers around three people during Jeongjo’s reign: a yangban girl who becomes an assassin to avenge her father who was accused of treason; a servant who rises through the social classes to become a merchant; and a young man who is a born as a son of a slave and a yangban. Jeongjo is shown as a ruler who goes out of the palace in the middle of the night to see how the citizens live with his own eyes. Painter of the Wind (SBS, 2008) follows the journey of a female painter in disguise of a male who gets the chance to become one of the royal painters in Jeongjo’s court. 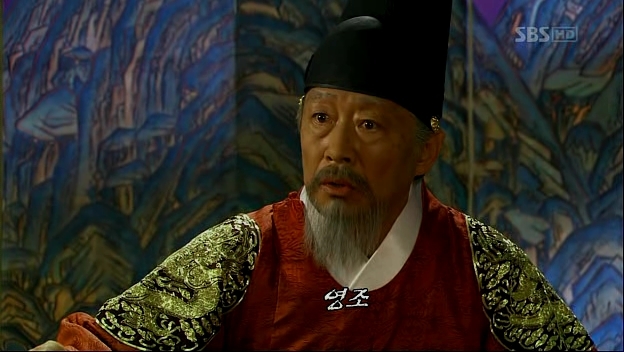 In the drama, Jeongjo is shown to be a brave king who goes against the ministers’ wishes to get his portrait drawn according to his own taste. The main characters are also appointed for a secret mission, which is to find a secret portrait of Jeongjo’s father Crown Prince Sado. Sungkyunkwan Scandal (KBS2, 2010) is coincidentally about a female who disguised herself as a male. The character enters Sungkyunkwan and later meets Jeongjo. Jeongjo is portrayed as a kind and wise king who values every single talent among his citizens regardless of their social status. Dr Jin (MBC, 2012) focuses on a time-traveling doctor who ends up at a foreign place which turns out to be the Joseon Dynasty. The main character goes around treating people with their foreign illnesses (at that time) and he’s eventually brought to the palace to treat Cheoljong. A young Gojong and his father Heungseon Daewongun are also shown in the drama. Joseon Gunman (KBS2, 2014) tells the story of a swordsman’s son who falls victim to the constant struggle between the Sugu’pa (Conservative Party) and Gaehwa’pa (Enlightement party). The events take place during Gojong’s reign and the main characters are further dragged into the battle between Gojong and the people who try to resist against his desire to conduct reform and promote modernization of the country. While there are more dramas that feature the rulers of the Joseon Dynasty, most of the sageuk tends the kings as the background characters to move the plot for the main characters to react. Plus, the details in the dramas aren’t entirely based on the historical facts since there are alterations made to suit the story as well as the target audience’s taste. Watching dramas is a good way of releasing stress but there’s actually a lot of things that can be learned from them, for instance the history. Next time when you’re watching a drama, be it a sageuk or a daeha, keep your eyes on the characters. Who knows, you might recognize the kings or queens and the next thing you know, you might learn a little bit about the history of the Joseon Dynasty from your search about those kings and queens. You did not mention it in this post, but I assume “Moon Embracing The Sun” is just a fiction. However, would you have any knowledge of around which timeline in the Joseon Dynasty would it fit in? Based on the attire, characters’ relations or language perhaps? And I’m looking forward to your post on Goryo and General Choi Young. Very cool overview of Joseon Dynasty kings in sageuk. Hi, I want to know if “Moonlight Drawn by Clouds” is real history of Prince Lee Yeong? I found the crown prince died at the age of 20, it’s so sad! I would glad for any information. Thank you!